Private colleges and universities face challenges distinct from their public counterparts. For one, unlike public institutions, they are not the recipients of generous state funding. Instead, they rely heavily on revenue generated from tuition—as well as on the generous support of donors. Such a reliance on tuition revenue puts private institutions in a vulnerable position—especially in the face of national declines in enrollment where private institutions are being hit the hardest: only about 26 percent of all undergraduates attend private colleges and universities, down from 35 percent in 1965. While private institutions with large endowments and student bodies are significantly less at risk of having their doors shuttered, other smaller colleges may be in a more precarious situation. Nevertheless, North Carolina’s leaders in private higher education remain optimistic. 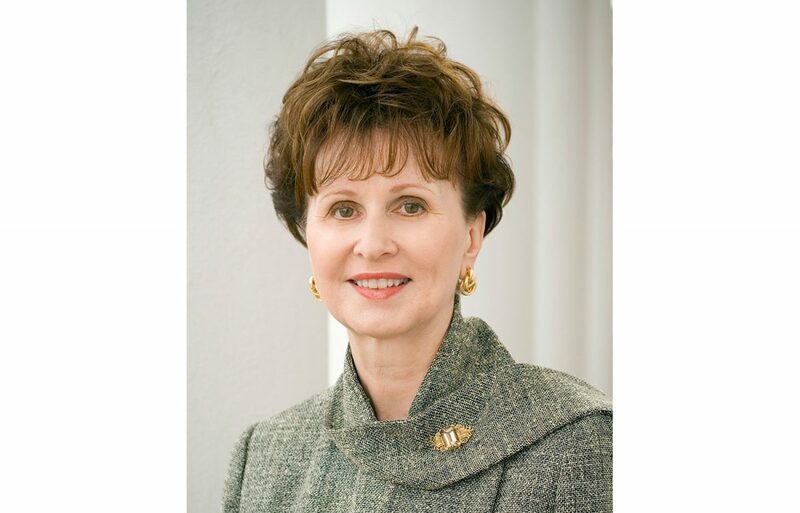 One of those leaders is Hope Williams, president of North Carolina Independent Colleges and Universities (NCICU)—an organization that represents and advocates for the state’s 36 private non-profit colleges and universities. Williams joined NCICU in 1986 and has been president since 1992. She received a Bachelor of Arts degree in French and History from Duke University, an MPA degree from North Carolina State University, and a PhD in Education from the University of North Carolina at Chapel Hill. Williams is a former president of the North Carolina Adult Education Association and of the North Carolina Association of Institutional Researchers. She serves on the National Advisory Board of the Institute for Emerging Issues, as well as on the boards of Communities in Schools of North Carolina and College Foundation, Incorporated. The Martin Center recently sat down with Williams to discuss her vision and goals for private higher education in North Carolina. Could you give our readers an idea of what your organization is and what it does? North Carolina Independent Colleges and Universities is the statewide office of private higher education in North Carolina, and we represent all 36 of the private nonprofit, liberal arts, comprehensive, and research colleges and universities in the state. They are spread across North Carolina from Brevard in the far west across to Chowan University in Murfreesboro in the far northeast—and all in between. One of our major responsibilities is to be the voice of private higher education in North Carolina. We work very closely on a number of projects with the University of North Carolina, with the Community College System, the Department of Public Instruction, and the State Board of Education. What is the biggest challenge for private independent colleges? I think the biggest challenge for private higher education, may be similar to that of public higher education, and that is affordability. The cost of higher education is certainly in the news a lot, and one of the challenges is that so much of the cost of higher education is in personnel—such as faculty and staff. That’s a major cost that does continue to rise. But, another challenge is that we educate students from all socioeconomic strata. In fact, about half of our North Carolina students are Pell Grant eligible, which means they can receive federal funding. They generally would also receive the state grant and other types of financial aid. But, because our colleges and universities are private institutions, we don’t receive the direct funding from the state that public institutions do. That means our colleges and universities have to generate a similar amount of funds without the state’s assistance. For example, among our institutions, institutional aid represents about $600 to $700 million a year that our colleges put in student aid. Fortunately, there is funding for our state financial aid program for students who have financial need. The majority of students among our student bodies have financial need, and so we try to put together a package of federal, state and institutional aid for them so they can afford to pay for their college education. Are there any scholarship programs? Absolutely. There are many scholarship programs. Some are privately funded, while others are funded by foundations—the Golden LEAF Scholars come to mind. There are also scholarships and funding through the colleges and universities. Some scholarships are merit-based, some are need-based, and some are a combination of both. Enrollments are starting to decline, and many of your institutions are tuition-driven. Are there some schools that are really feeling the pinch? What are they doing in the face of declining enrollments? Most of our campuses are actually either growing or generally stable in enrollment, so we are pleased about that. Obviously, from year to year there are some ups and downs depending on the institution. One of the areas that I think is a very positive characteristic of private higher education is the ability to be agile. In other words, when our colleges see a need in the state, they can respond very quickly. The health sciences area is a great example of how our colleges and universities have responded to the need for more workers, and more employees in those areas; physical therapy, occupational therapy, additional nursing programs, pharmacy programs—those are all programs that our colleges and universities have established in response to the demand that we have in the state and nationally for graduates in those areas. In fact we award 92% of the physician assistant degrees in the state. Do you see any innovations on the horizon? I think there are a lot of innovations. We’re working very closely right now on articulation agreements with the community college system. We have a comprehensive agreement that is for general education—which is intended for students to be able to transfer in as juniors from community colleges. We also just recently signed a Registered Nurse to B.S. in Nursing agreement that is set on trying to streamline the process so that students know which courses will actually count for their major. This is important because students do not always know what courses to take when starting out. We are now working different kinds of articulation agreements: for visual arts music, and theater, and then the one for education majors will follow next. That’s a way we can enable transfer students from community colleges and other institutions to know which courses to take and be able to come to our colleges. Then on the research side, we have major research going on at Duke and Wake Forest, as people know, and at Campbell. One great example is the Institute for Regenerative Medicine at Wake Forest. That is where Dr Tony Atala and his staff and others are working to create body organs from one’s own cells. The biggest challenge for transplants is rejection, but if you have that organ that is developed from your cells, there’s a greater likelihood of that being accepted by your body. It’s amazing to see what they are able to accomplish and the progress they have made in that area. We also have some great innovations going on among our campuses with our local cities and counties, where they’re working together on various projects such as revitalizing downtowns. Roughly three quarters of all college students attend public universities and colleges, how do you see the private independent colleges who are not well known and who do not have large endowments surviving? Do you think they have a unique role to play? 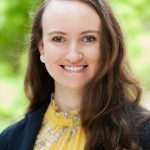 I do think we have a unique role to play, and while we do have about 12 or 13 of our campuses now with student bodies of a thousand or fewer students, when you think about the number of students in North Carolina in rural areas coming from small high schools, they are often looking for a smaller student body. And I think the challenge for all of us in higher education is finding the right fit for the student, whatever that fit may be. For some it’s at a much larger institution, for others it’s at a much smaller institution. Geography also comes into play, as well as the offering of majors. Some students just want to be in the mountains, others want to be in a larger city, others want to be away from home; there are so many characteristics that students look for in colleges that I think we’re fortunate in North Carolina with the array that we have of public and private institutions. We have just about anything a student is looking for, unless it’s to go out of state specifically. Research shows that several NC counties, particularly those in the western and eastern regions of the state, have had a trend of declining population over the last few years. Do you think that trend will affect enrollments? We have students from all 100 counties so declining populations could affect student populations. We do know that in many cases there are a number of students who will stay closer to home to attend college. Since students are more likely to stay for at least a while in the geographic area where they graduate, having colleges such as the 11 we have in rural areas could help students stay in those areas as long as jobs are available. For example, the University of Mount Olive has the majority of its students coming from the contiguous counties and the home county of Mount Olive; they’re in the eastern part of the state. On the other hand, we have students who go all across North Carolina. I think it is important to have colleges located all across the state for those who do want to stay close to home. Recently, I was talking with some people about community college transfer students. Historically, community college students are primarily older students who stay rather close to home because, as older students, they generally have work responsibilities, perhaps family responsibilities, that keep them somewhat place-bound. But we’ve also had a couple of examples of such students who were at a coastal community college who transferred to a college in Asheville, which means they had more mobility. We often hear about UNC system schools’ efforts to create efficiencies and cut out waste. Is this something you are involved in as well? Is there any collaboration there? Yes, there is a lot of collaboration in our office. We actually have a collaborative initiative which involves a number of different companies who will take a look at the volume of our institutions as a group because, as I mentioned earlier, many of our campuses—over a third of them—are smaller institutions and might not be able to get the kind of volume buying on their own individually. What is a little different for our sector is that our colleges have to balance a budget, more like a business does, so if there is lower enrollment, or there are higher costs, they have to make that budget work on the revenues that they have in hand. And so, they are very good about trying to be as efficient as they can; ensuring that they’re making wise use of tuition dollars because, as you said, most of them are tuition-driven. Endowments are pretty important, but they certainly are—for most institutions—limited in the support they can provide. So, figuring out a way to be as cost-effective as possible is extremely important to private colleges and universities. Do you see increased transfers to and from other schools? And I know you briefly spoke about this, but I had a question about articulation agreements. What we’re hearing now is that, instead of transferring just once, there are more and more students who are transferring twice or even three times—which is an interesting phenomenon. That makes it difficult to try to track students. However, we’ve certainly had an increase in transfer community college students. One of the things that we’ve been pleased about is that we had an original articulation agreement that we revised and one of the revision components is that when the students start in their transfer program at the community college level, they are required to go talk to senior institutions—it can be public or private—whatever they’re interested in, and find out what courses they need to be taking for a particular major in which they’re interested. Some of your institutions have troubling default rates, with a few over 20 percent. Is NCICU involved in addressing this problem? We work very closely with our colleges and universities and there is no question that it is a bigger challenge for colleges and universities that have higher percentage of students on need-based aid. But generally speaking, I think most of our colleges are working very hard on that—to make sure that they’re providing assistance that students need, helping them understand the challenges that come with too much debt. One of the challenges that I have been talking about for a long time and we haven’t made much headway on, unfortunately, nationally speaking, is that it’s very important for people to understand that colleges and universities are not able to control the amount of borrowing that a student undertakes. So for example, if you are seeking a Federal Loan and you fill out the FAFSA, then the federal government says that you’re eligible for a certain amount of aid and a certain amount of loans. If the college is able to work with you and provide some grants from the college and some other sources that they have, they may say to the student: “you know, you don’t really need to take out that much of a loan.” But, if you are from a family that needs additional funding, and you have access to that funding, there may be an incentive in your family to go ahead and borrow that amount anyway; but the college cannot tell you not to borrow that much money. So it is it is really a catch-22 in many cases because our colleges are held responsible for the default rate of the students, but we have absolutely no authority to keep a student from borrowing too much. We can only tell them that they may be doing so. That is a real challenge for higher education and it is very frustrating for us: we have the challenge of the default rate issue, but no control over how much students are borrowing. There are cases of several community colleges in North Carolina that opted out of the federal loan program altogether—which would be difficult for students at Duke, for instance. Or anywhere. Some of our campuses are able to provide help to those who have financial need. At the community college level, I can certainly understand why they’re doing that, given both the colleges’ lack of control over borrowing and the federal penalties for high default rate. But that does mean the students who need to borrow will have to go with the more expensive option—if they can’t borrow through the federal option. Perhaps if colleges had more control over helping figure out what students could borrow, from that particular federal option for which we’re being held accountable, maybe those colleges would be in the federal aid program. What’s your take on the concept of “skin in the game”? I would say that with the $600 to $700 million of institutional aid that our colleges put in—we have skin in the game. These are funds that our colleges are making available to those students in scholarships, grants, and some loans. Think about a student who receives a Pell Grant, that’s a finite amount. Then there is an amount of state aid students receive, as well as any loans or work money—but there is still a significant amount needed to cover the cost of education. That is where institutional aid comes in. Certainly there are also academic scholarships and athletic scholarships and most of those funds generally do not have to be paid back. It’s a huge undertaking for our colleges and universities to be able to put those funds in place and so we already have “skin in the game.” That also brings up the question of, if we have no control over what the student borrows, are we then going to be responsible if they don’t pay it back? I think there are some serious questions there that haven’t been addressed. We’re very fortunate that the average student debt in North Carolina is well within the national average. The national student debt average is about $30,000 to $31,000, while the average in North Carolina is about $25,000 or $26,000. Actually, think about that for undergraduate debt: when you graduate from college, that’s not a whole lot more than what most may be spending on a car depending on whether they get a new one or a used one. That’s doable. And the great thing about it is that a college degree is going to appreciate in value, whereas we all know that the car, as important as it is, begins to depreciate when you drive off the lot. Isn’t a college education the most important investment you can make, as long as it is within reason? Many schools, including public schools, seem to be cutting the liberal arts. Have you seen this pressure on the institutions you serve and how do you think it will affect them going forward? Rather than an area of reduction, in terms of liberal arts, I think we’ve seen more of an addition of other programs, such as the Health Sciences I referenced earlier. Generally our colleges and universities see the importance of liberal arts in a student’s overall background. And we know that employers, for example, say how important it is for graduates to come in with the ability to think critically and be able to use information to make decisions. We hear all the time about the high number of STEM majors and the great information that students from other countries, especially from Asian countries, come in with. But it’s interesting because some of those students have said that they’re startled because American professors ask them for their opinions. Generally, they say that their curriculum is more of the professor telling students information and students repeating it back . But a number of other international education systems are trying to make their system a bit more like ours in terms of helping students learn how to apply their knowledge—not just have knowledge and be able to repeat it and use it; but how to take what they’ve learned and adjust that going forward. Things are changing quickly, especially in technology areas, but also in just about everything, so adaptability is key. We want to make sure that we are educating students for the jobs that have not even been invented yet. And when I do commencement speeches, that’s one of the things I talk to graduates about because now there are estimates that they may have 12 or 13 different jobs in their career—many of which haven’t been invented yet. We need to prepare them to be able to adjust and adapt to the roles that they’ll be having. Do you see more academic collaboration in order to keep programs alive? There certainly are some examples of that, especially among institutions, and within colleges and universities too. I think that, because we have to balance the budget, our colleges and universities have to take a look at the student demand for different majors. There certainly are examples where campuses have limited majors, combined majors, or added majors and programs. I think that is an ongoing process. I don’t think that’s as unusual as it would have been 15 or 20 years ago. The institutions are diverse in size, location, academic performance of the students, and even politics, what brings them together? That’s an interesting question. As I said, it’s hard to know exactly what it is that provides a student with that “right fit” feeling. We are fortunate to have a wide array of institutions just among our 36. People ask me all the time, “Well, with 36 you must have several that are just alike,” and I say “not even two.” They’re, overall, similar in their mission of educating students for life—not just for jobs. But the characteristics and culture of the institutions vary. We are fortunate to have five historically black colleges and universities, we have three colleges for women, and we have one two-year institution . Although many of the institutions have the same majors, some have different majors. I think it’s an interesting question about what will attract a certain student to an institution, and is that like another institution or is it because they have different programs? And it’s not just about programs; some students do want to be in the mountains. Fortunately we have institutions all over, so they can certainly find that (right) one. But it depends so much on the students and what they want personally and professionally, and there is a different answer for each individual student. Do you see more specialization by institutions? In some ways, yes, because, for example, while in past years there might have been more majors in the sciences, now we have very specialized programs (such as occupational therapy, physical therapy, nursing majors, and more Master’s in nursing). From that point of view, there is an interest in specialization because the jobs students may be seeking in those areas are very specific types of jobs with backgrounds that certain students need. But I think even some of the other types of majors are in some ways becoming more specialized. Are there any particular public policies that you are pursuing right now? One of the changes that is taking place this year affects our military students and we are excited about that; there is a provision in the budget and in a bill that will allow our active duty military and our veterans in North Carolina (as long as the veterans stay in the state) to be able to be eligible for our state grant. We have a lot of military families in our state. We have four campuses that have programs on some military bases. We also have others that are online. A lot of veterans choose to stay in North Carolina—I grew up in Fayetteville, so I know personally how many of my friends in high school were from military families, either active duty military or veterans. A lot of them tend to stay somewhere near bases and we love to keep those folks in North Carolina. I think it’s part of our military friendly approach here in the state and I appreciate the General Assembly’s support in making that possible. A lot of people are familiar with individual independent colleges and universities but they may not be thinking of us as a sector, and I think that’s an important thing to do. As a sector, we enroll 90,000 students, we have an economic impact of $14.2 billion, and we employ over 66,000 employees. So, combined, that means that we are the largest private employer, because the next private single employer is Wal-Mart, with I think about 40,000 employees. Think of the impact on the state: we have 40,000 North Carolina residents as undergraduates, approximately. If the state had to educate those students at state institutions, they would have to build, from scratch, another NC State University. So think about that in terms of the cost and not only of the students attending the programs and the faculty, but also the capital that’s involved. That’s one of the reasons we think it makes sense for the state to support our students attending independent colleges and universities. And I just want to emphasize: that the state support is for the students. The funding that comes from the state grant goes against their tuition and fees costs—so it’s not funding for the college or university, it’s for the student. One of the reasons that makes so much sense is that the state appropriates about $14,000 per in-state student at the public universities. However, we think we are an important component of our higher education continuum in the state. It helps to provide students with the right fit and also has the wonderful option of saving the state a significant amount of money. The amount per capita is about $2,200 in terms of costs for the state grant program for our students. If you look at that and compare it to the roughly $14,000 invested per North Carolina public college student, the state is saving about $12,000 plus capital per North Carolina student who attends our independent colleges and universities. We’re very proud of all the contributions we make to the State of North Carolina.